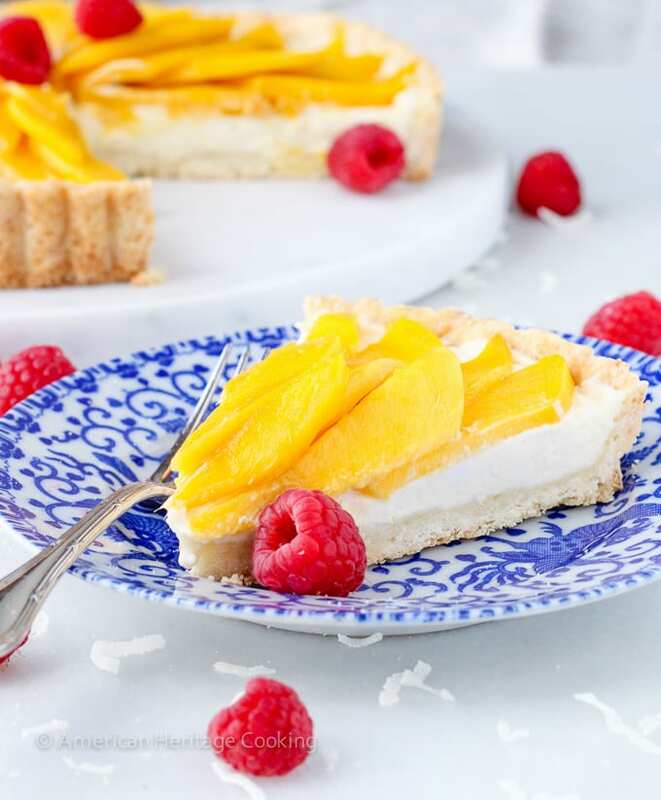 Every bite of this Coconut Mango Tart is packed with juicy, sweet mangos, smooth cream cheese filling and crumbly coconut crust. The flavors and textures will have you digging in for more! I have a mango problem. A “see mango, eat mango” problem. My first mangos were in Hong Kong; they were so ripe and juicy, I was addicted for life. I eat so many bags of Trader Joe’s frozen mangos; I’m actually surprised that I’m not orange. Before I left Atlanta I bought 12 deliciously ripe mangos at the farmers market. My husband was out of town so I’m not entirely sure what I was thinking! Actually I know exactly what I was thinking — mangos were 12 for $4. Mmmm hmmm. Practically free. Which is all well and good but then I basically had a mango tree in my kitchen. I could chop them up and freeze them for smoothies but that would be A) no fun and B) impossible because, believe it or not, my freezer is so packed, I don’t actually have room! #foodbloggerproblems or would that be #foodhoarderproblems. It’s getting hot up in NYC and a cool tropical tart is just the way to battle the heat. 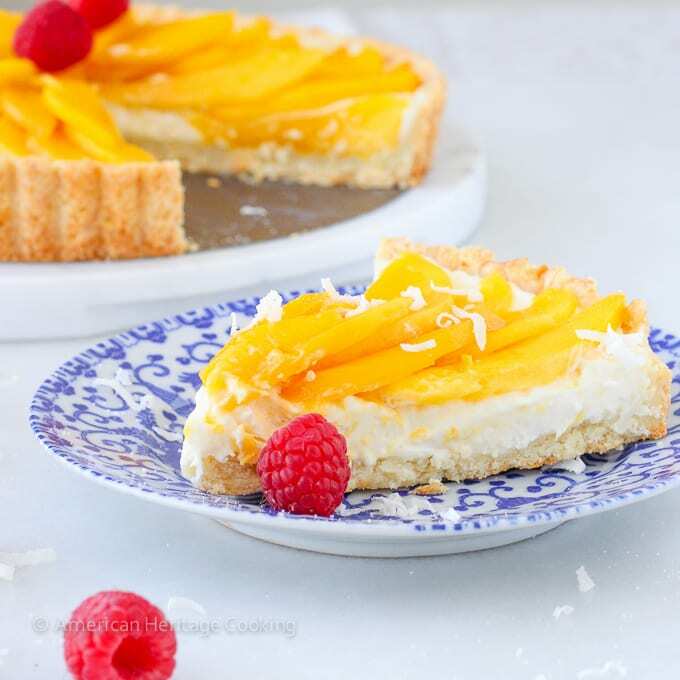 In every bite of this Coconut mango tart you get juicy, sweet mangos, smooth cream cheese filling and crumbly coconut crust. The flavors and textures will have you digging in for more! 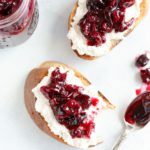 The filling has sour cream and a little lemon zest which highlights the tangy side of cream cheese. 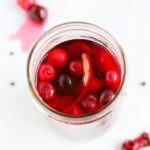 It is both sweet and deliciously tangy all at once. A flavor party if you ask me. I used both coconut oil and shredded coconut in this super easy crust, which makes it delectably coconutty and crumbly like a shortbread. Replacing all the butter with coconut oil makes it totally healthy, right? And since this tart is moderately healthy, I thought they would be perfect for celebrating Food Faith & Fitness’ 2 year bloggiversary! This tart also happens to be bright and beautiful, just like Taylor. Coincidence? I think not. 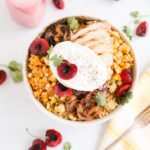 If you haven’t discovered her site, then you are seriously missing out! 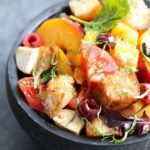 She makes eating healthy easy with all of her delicious, healthy baked goods and fast dinners. Plus her sarcastic wit reels me in every time. Love. Her. A bunch of bloggers came together to celebrate her milestone with a crazy giveaway! We are giving away TWO $500 Amazon gift cards! Yes, two!! Each like or follow counts as one entry below! Preheat oven to 375˚F. Lightly grease a 10-by-1 inch tart pan with a removable bottom. In a medium bowl combine flours, meal, salt, sugar, and coconut; whisk to distribute evenly. Add the melted oil and toss together with a fork. If it doesn’t come together, slowly add heavy cream until you can form a cohesive ball. Pat into a disk, wrap and place briefly in the refrigerator to firm up. If you chill too long it will because as hard as a rock. If that happens, don’t worry, just let it warm up at room temperature. Roll out until it is approximately ¼ inch thick and 12 inches in diameter. Roll onto a rolling pin and gently place over the prepared tart pan. Press the dough into the edges of the pan to make sure that there are no airpockets. Allow the edges to fold over the sides of the pan and trim them with a pairing knife or rolling pin. Make small holes in the bottom of the tart shell with a fork or docking tool. Line with parchment paper and fill with pie weights or beans. Bake in preheated oven for 10-15 minutes or until the parchment no longer sticks to the bottom of the tart. Remove weights and parchment and continue to bake 8-10 minutes longer or until the tart is an even golden brown. In a food processor process the sugar and lemon zest until the sugar is a pale yellow. 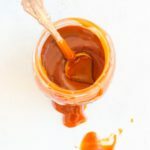 Add the sour cream, vanilla, and almond extract and process just until free of lumps, scraping down the sides of the bowl as necessary. Add the cream cheese and pulse just until the mixture is smooth and no lumps of cheese remain. Be careful not to over process. 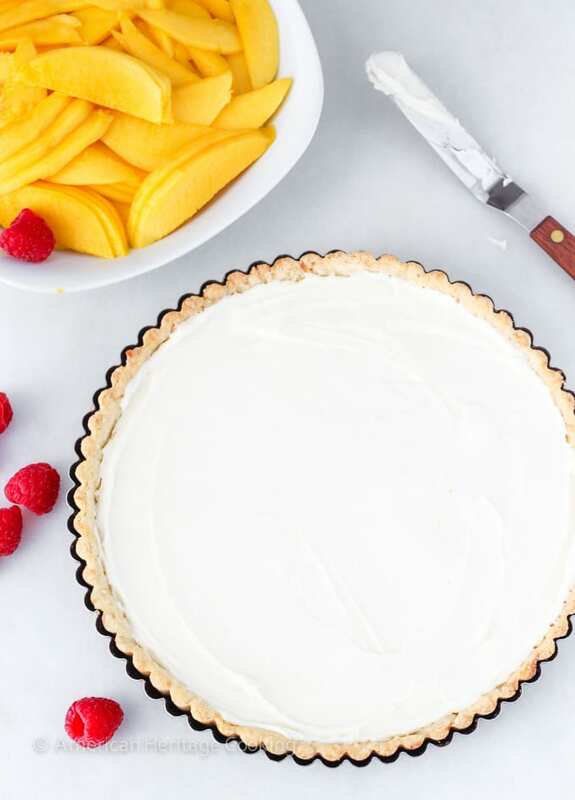 Pour into tart shell and smooth the surface with a small offset spatula or knife. 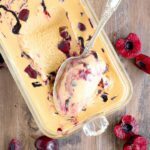 Refrigerate at least 1 ½ hours or overnight. 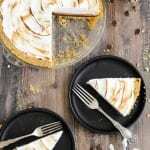 Arrange the mango slices decoratively on top of the cream cheese filling. I did a series of concentric circles on mine. You do you. 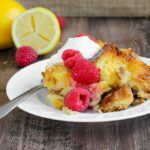 Sprinkle with coconut and raspberries. Store in the refrigerator until ready to serve. The tart will be fine the next day but the fruit will begin to brown and it won’t be as pretty. It is best to assemble right before or a few hours before you serve it. Cream cheese filling recipe courtesy of “The All American Dessert Cookbook” by Nancy Baggett. I had my first memorable mangos on an Air Force deployment in Oman. I ate so many mangos the first weeks of being there that I too wonder why I didn’t turn orange. Mangos aren’t in season just yet where we live now so I get my fix from dried mango strips. Wow that tart looks so good and would be great for any occasion. Thank you so much, Karen!! It would be! I think it would be especially nice at a BBQ or garden party or really anything in the Summer! It’s so refreshing! Wow, this is just stunning! 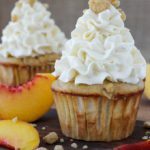 That coconut filling topped with fresh mango? To die for. I have the same problem with my freezer! It is always so jam-packed, but it’s awfully nice to have homemade meals and snacks in there! 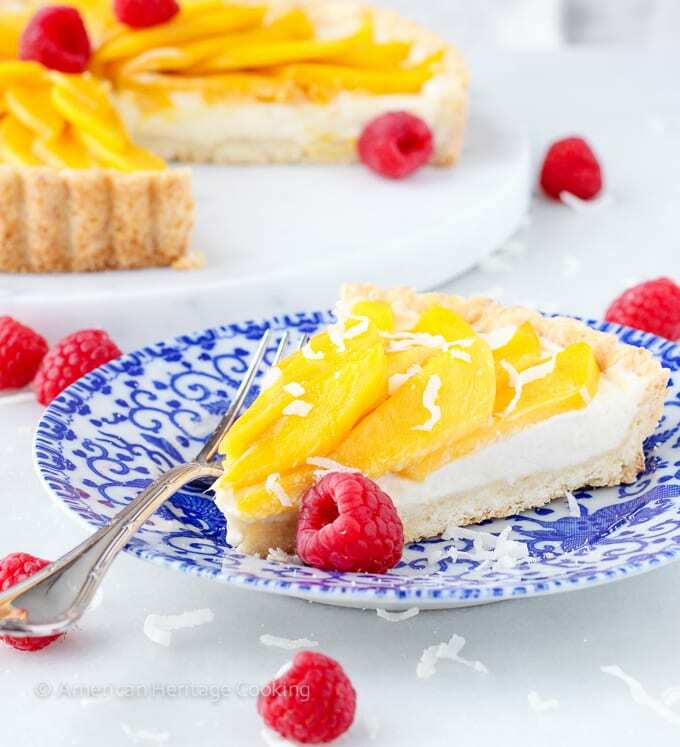 This coconut mango tart is just beautiful! 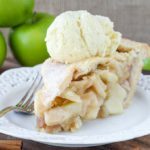 I love that you used coconut oil in the crust and a cream cheese filling is my fave! Gorgeous gorgeous tart! I love the fresh mango and coconut combo! Can’t believe what a great price they were too! A big slice of this sounds so good right now! I have been buying quite of bit of mangos lately. Thanks for a great recipe that I can use them for. The tart looks so pretty and so yummy! Ok, quit being my shadow. Seriously. I totally just bought a box of like 15 mangoes at Sam’s Club. I think it was $5. They’re sitting on my kitchen counter right now. Apparently waiting to get turned into this coconut mango tart! Laura stole one last night to make sticky rice, but the rest are mine. P.S. I think you were following me around Sam’s Club and saw that I picked up mangoes. You got 12 mangos for $4??? WTHey – I bought a case of 6 for $7!!! I clearly need to evaluate where I shop! Lindsey – this tart looks fabulous – and perfect for Taylor indeed – luv both you ladies! Herein lies the problem Lindsey…this tart is so gorgeous, I wouldn’t want to eat it! It looks like art! Simply fabulous. Bravo darling. Bravo! This tart is just so pretty Lindsey, I wouldn’t want to eat it! Just look at it GORGEOUS!! That’s a crazy mango sale!!! The cheapest I’ve ever found them was $1 a piece… I’m getting screwed here! Loving this tart. 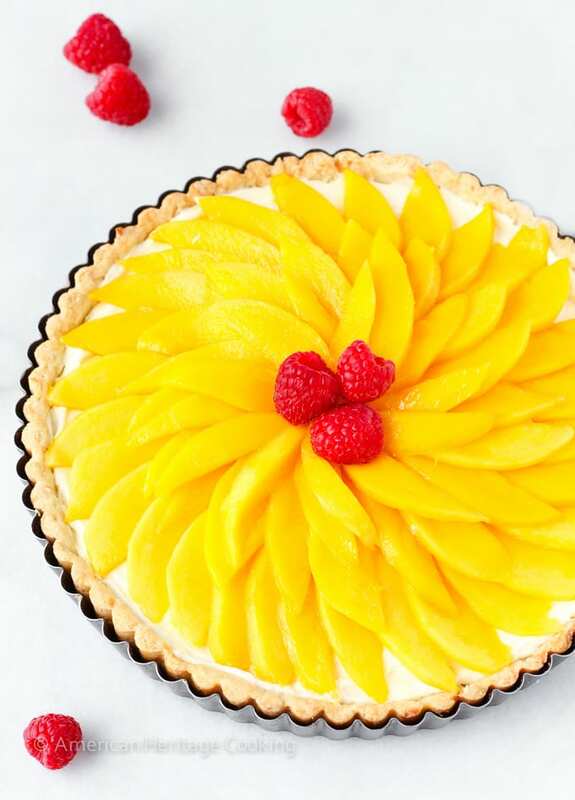 Asheley’s a big mango fan (…maybe not as obsessed as your are), so she’d totally dig this tart! 12 for $4?! Can you imagine that kind of sale in NYC? This tart is so gorgeous!! Coconut and Mango go so well together! Totally gorgeous tart! I love to eat mangoes but have never baked with them. Beautiful combination of flavors! And this tart is soooo pretty!!! Living in South Florida- mangos are everywhere- my Dad has his own mango tree. I know I’ll get a ton of compliments on this tart! 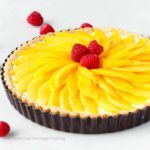 in colors: yellow goes perfet with red, you used these colors to bake a yummy tart in mango and raspberries, I love the three levels, This is a COMPLET TART !